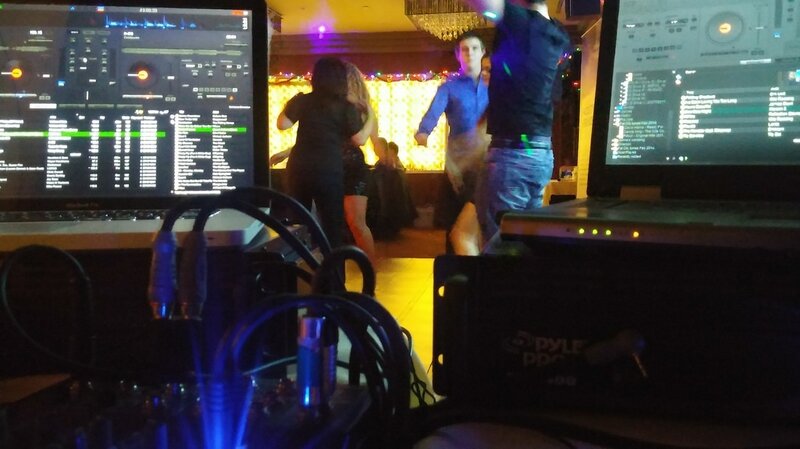 We know you are looking for a night to remember. One people think about, talk about, and those memories bring them back time and time again, because you are part of a community that experienced that event. Our games were created for and are tested and used all in front of Real Audiences in the USA. Games can also be downloaded from anywhere in the world, and other english speaking countries, such as Canada, Ireland, England, and Australia have loved our games as well. Be sure to ask to be referred to local hosts if seeking a host outside of USA or Canada. ​A great selection for all groups. Fun and innovative games include hidden Side-Games, interactive media, and family friendly general knowledge categories. Ask about our specialty games such as: Date Night, Comic Books, St. Patrick's Day, Halloween, Christmas, and many more! 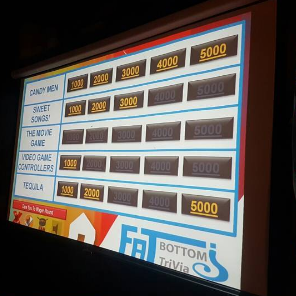 Fat Bottom - ​"Music Trivia Party"
A CLASSIC!! This all-music game show gets your crowd interacting better than all others! ​a) Those who love music trivia and get a thrill out of friendly competition. b) Those who love listening to the music, singing, and dancing for bonus points. c) Those who love watching the game on the big-screen, and their friends having fun! Sports Pub Night - "Kick-Off" The Season Right! Interested in boosting your sports presence for the upcoming season? Then this is the option for you! 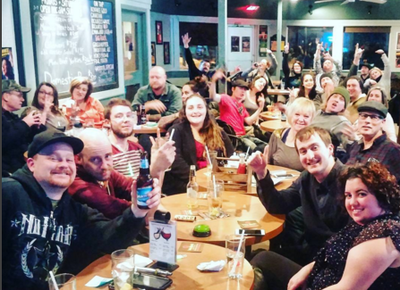 ​Host a "Sports Pub Night" before or after the "Big Game". Choose your league, and increase interest (and sales) in your establishment. Become a true sports connoisseur! More than just TV, Movies, and Entertainment trivia, these Game Shows are custom made for specific audiences. ...Blockbuster Movies, Video Games, Zombie TV Series, Books, And More! We customize each event to meet your specific needs, and as always, satisfaction is guaranteed.